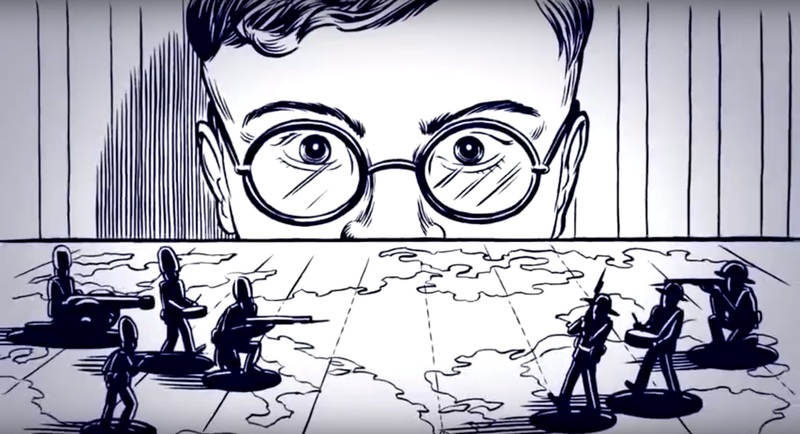 It is the single that catapulted Norwegian band A-Ha to fame, and its video is one of the most celebrated in the history of music. 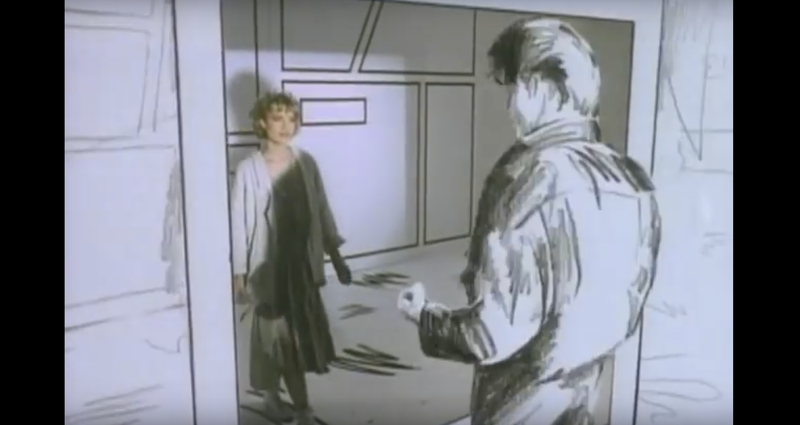 In ‘Take On Me’ (1985) a girl is reading a comic in a café when, suddenly, the protagonist, who is none other than Morten Harket, winks at her and invites her into his charcoal pencil world. Julián Saldarriaga remembers how this love story unfolding during a murder attempt captivated him as a kid. He is the guitarist and songwriter alongside Santi Balmes in the band Love of Lesbian, which celebrates its twentieth anniversary on the stage this year. 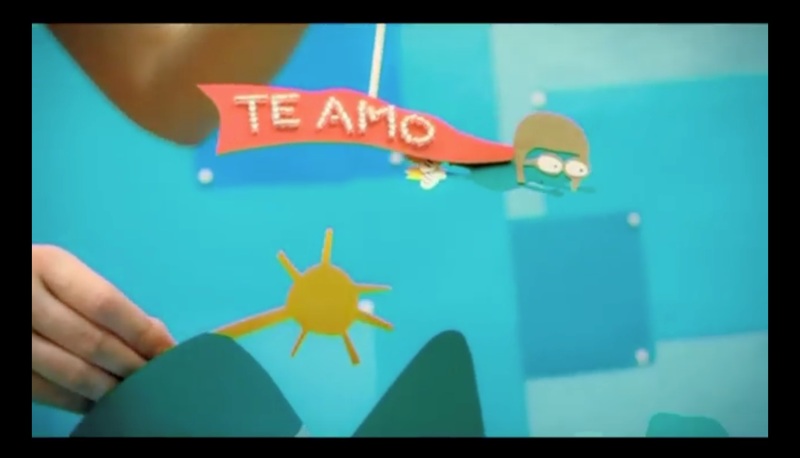 He is also one of the few artists in Spain to have dared to use illustration and animation in his music videos. 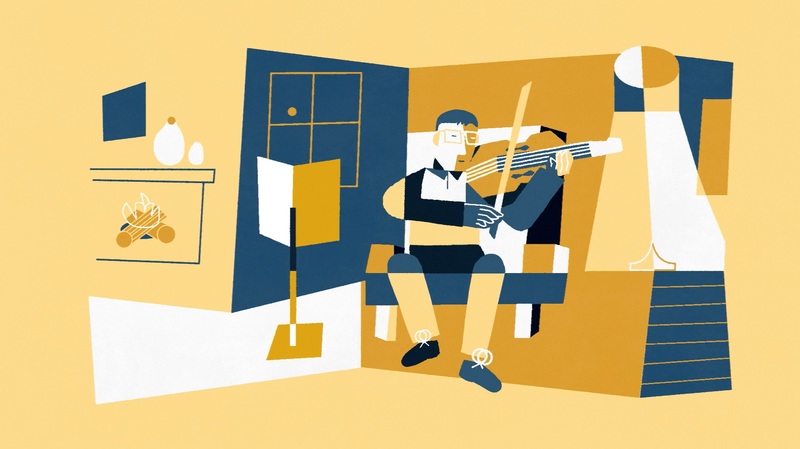 ‘Pizzigatos’, for instance, uses illustrations with rubber stamps to add movement to the figures, along with rotoscoping, an old animation technique in which the artist traces over real footage. 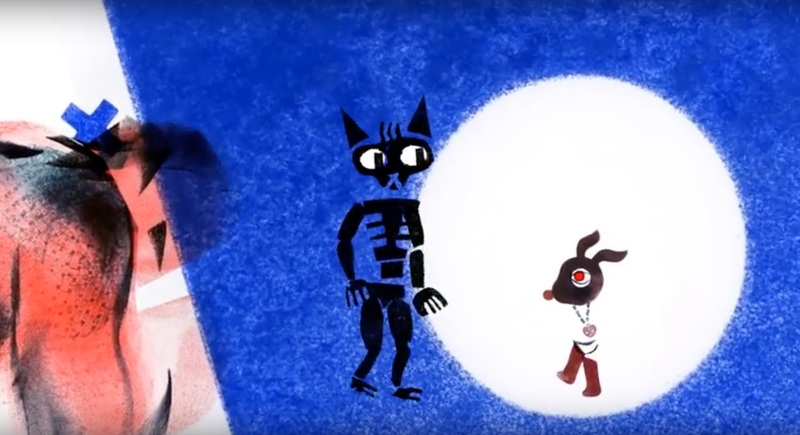 “Illustration in music videos does two things: first, it brings a children’s art form into the adult world, and second, it enables adults to embrace their inner child,” says Saldarriaga, who also points out that “the dream world and the real world blend together much more easily with design and illustration.” The possibility of giving expression to dreams is what prompted Love of Lesbian to use this technique in the lyric videos — videos showing the lyrics of a song — for their penultimate album, ‘El poeta Halley’ (2016). 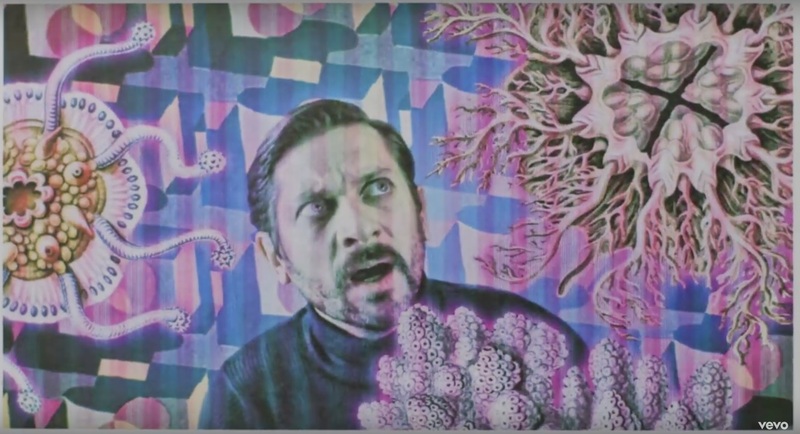 On the subject of the creative process involved in an illustrated music video, Soldarriaga explains that, like with a record cover, first they spend a lot of time searching for artists, especially on Instagram. Once they’ve found someone to take care of the creative side, they begin discussions, but after that they stay out of the process, allowing the artist to work with complete freedom. 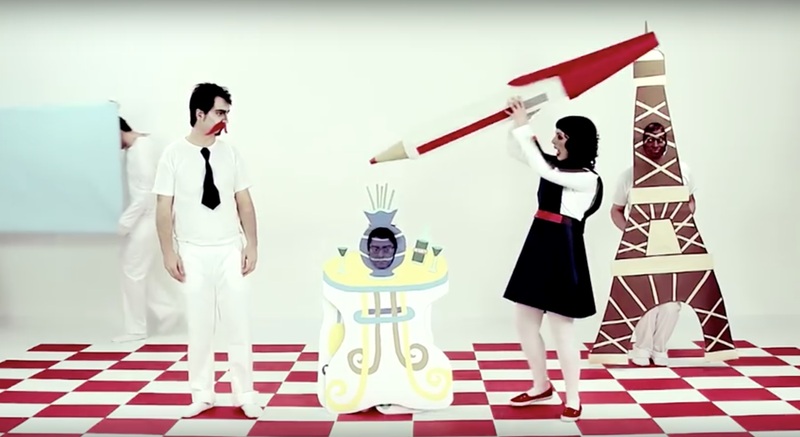 This was how their first illustrated video clip, and also one of their most memorable, came about. 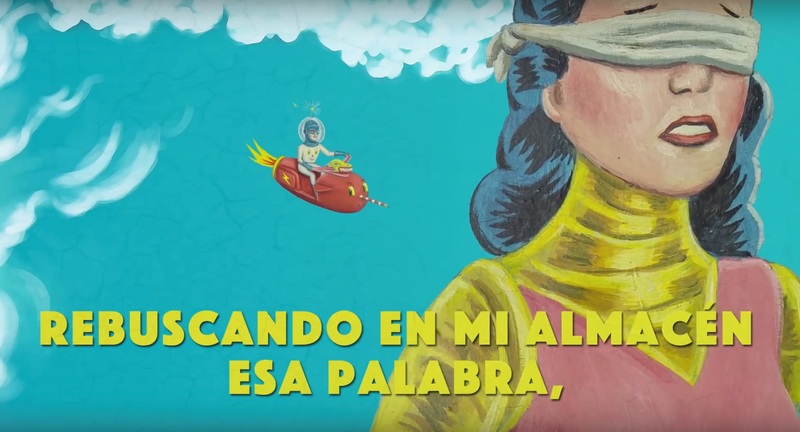 In ‘Te hiero mucho (La historia del amante guisante)’, from the album ‘1999’ (2009), a superhero pea shoots out of a book in which various scenes unfold. 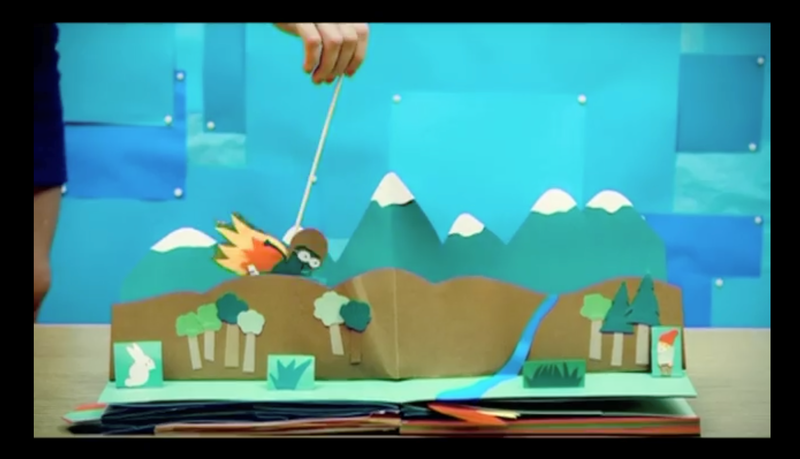 To create it, the artist Lyona used cardboard cut-outs that she animated using the stop motion technique. “It wouldn’t have been possible to depict a caped pea with a real image. 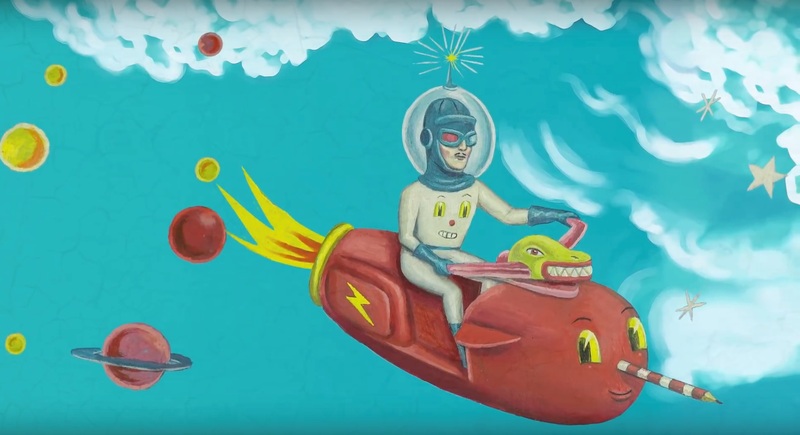 It’s in these cases that illustration and animation are used, because you can draw anything you want — there’s no limit to the imagination,” says the producer and illustrator, one of the biggest names on the Spanish scene. 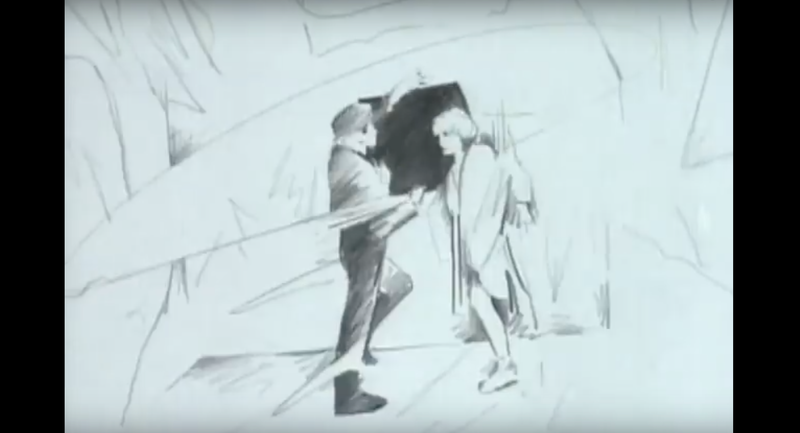 The marriage of illustration and music has given us some memorable videos, even before A-Ha. Think of The Beatles’ ‘Yellow Submarine’ (1968), or Pink Floyd’s ‘The Wall’ (1982). Dire Straits, with their ‘Money for Nothing’ (1985), and Queen, with ‘Innuendo’ (1991), which featured animated audiovisual pieces with images of the band playing live. 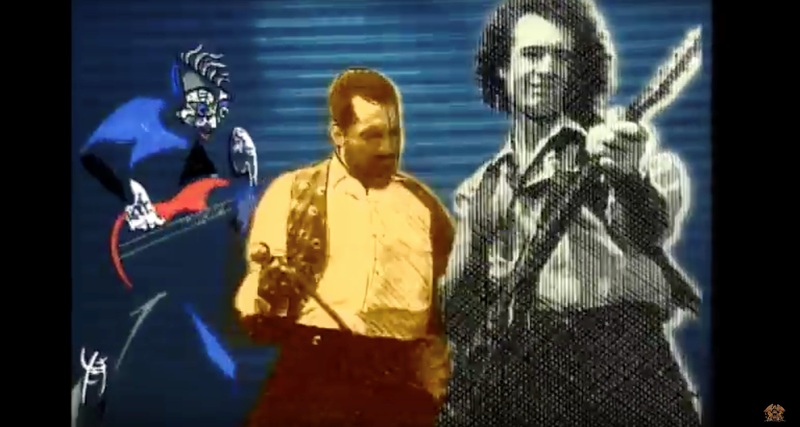 Pearl Jam’s ‘Do the Evolution’ (1998) was nominated for a Grammy in the Best Music Video category. 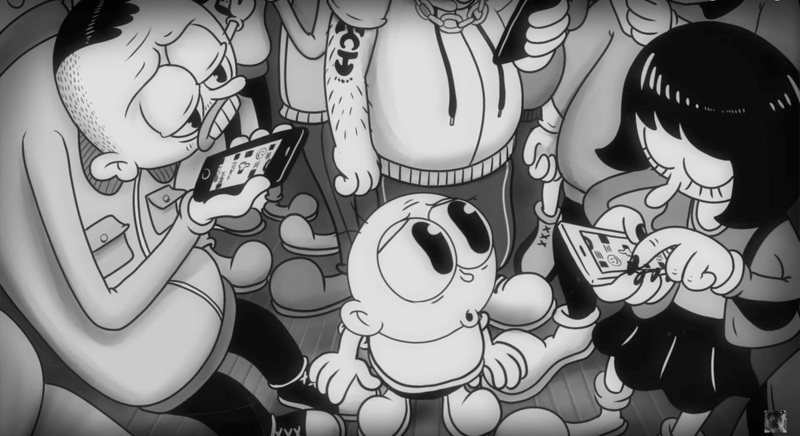 The piece is a critique of people who are intoxicated by technology, a recurring theme in subsequent videos, such as the surprising ‘Are You Lost in the World Like Me?’ (2016) by Moby & The Void Pacific Choir, in which we see a child feeling desolate at the indifference of people, busy on their mobile phones. 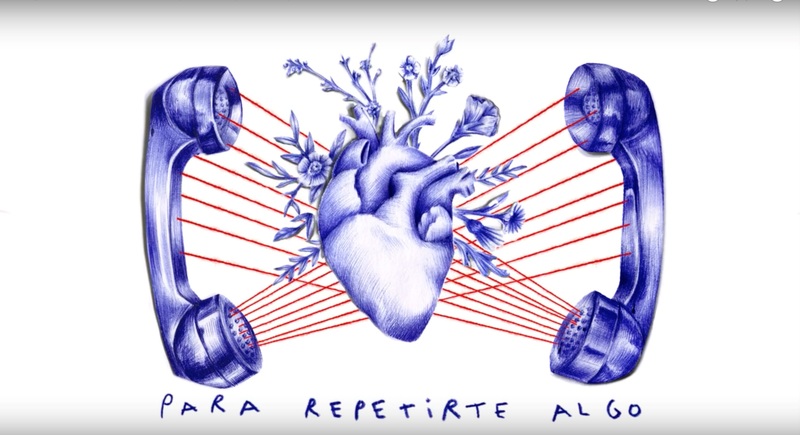 The opposite is true of ‘Telefonía’ (2017), by Jorge Dexler, a lyric video that celebrates this means of communication. 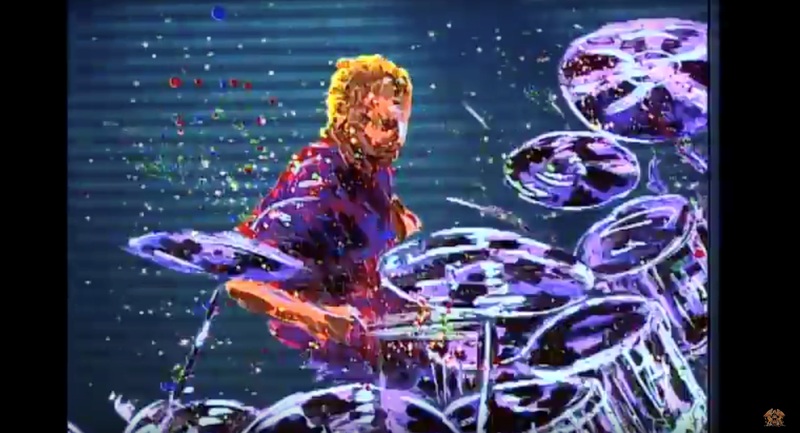 Coldplay is also one of the groups that has been using illustration recently, with the video comic ‘Hurts Like Heaven’ (2012), ‘Ink’ (2014) and the lyric video ‘Something Just Like This’ (2017), for example. 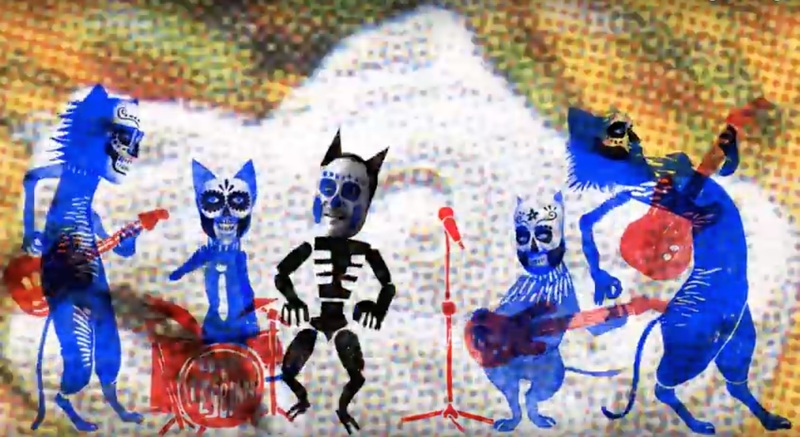 For sheer originality, look no further than ‘Moderat’ (2013), a hypnotic video by Bad Kingdom in which blue lines feature heavily, or Fanfarlo’s ‘Cell Song’ (2014), reminiscent of the illustrations that appeared in our school books. 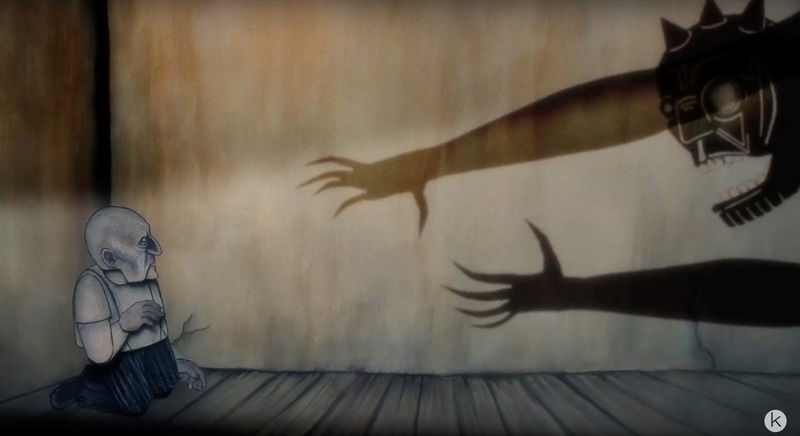 Among the most poetic, ‘My Favourite Music’ (2017) is a story told by John Carpenter in which he explains how music has influenced his life since he was a boy with cubist-style images, or the mournful atmosphere of Steven Wilson’s beautiful ‘The Raven that Refused to Sing’ (2013). All short works of art that are a pleasure not just for the ears but also the eyes.